© 2006 Beijing New Picture Film Co. Ltd. − All right reserved. Curse of the Golden Flower (Chinese: 滿城盡帶黃金甲; pinyin: Mǎnchéngjìndàihuángjīnjiǎ) is a 2006 Chinese epic wuxia drama film written and directed by Zhang Yimou. 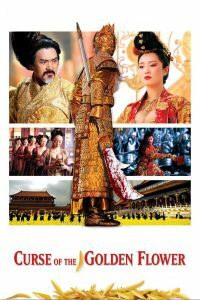 The Mandarin Chinese title of the movie is taken from the last line of Qi Dynasty poem written by the rebel leader Emperor Huang Chao who was also the Emperor of the Qi Dynasty that was at war against the Later Tang Dynasty.Curse of the Golden Flower (Chinese: 滿城盡帶黃金甲; pinyin: Mǎnchéngjìndàihuángjīnjiǎ) is a 2006 Chinese epic wuxia drama film written and directed by Zhang Yimou. 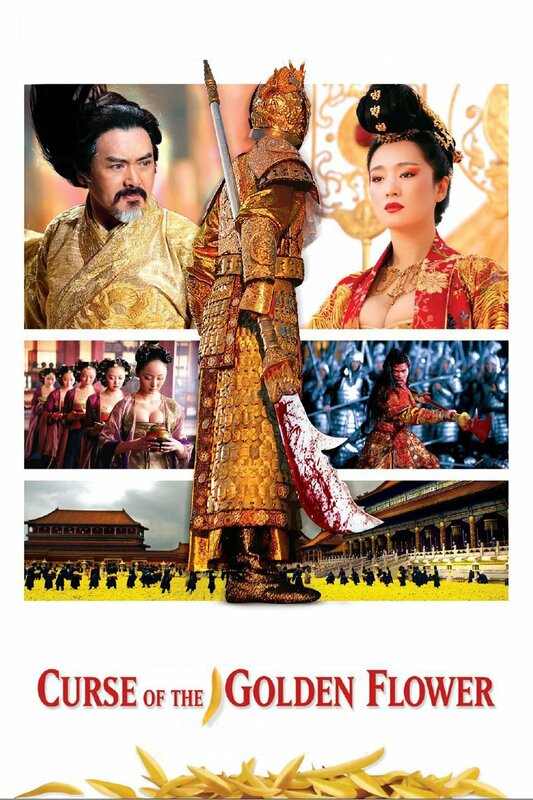 The Mandarin Chinese title of the movie is taken from the last line of Qi Dynasty poem written by the rebel leader Emperor Huang Chao who was also the Emperor of the Qi Dynasty that was at war against the Later Tang Dynasty. 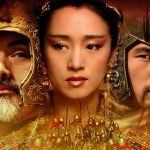 With a budget of US$45 million, it was at the time of its release the most expensive Chinese film to date, surpassing Chen Kaige’s The Promise. 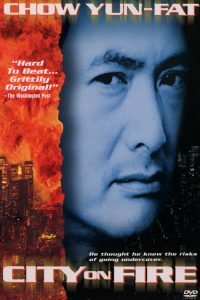 It was chosen as China’s entry for the Academy Award for Best Foreign Language Film for the year 2006; but did not receive the nomination. The film was, however, nominated for Costume Design. In 2007 it received fourteen nominations at the 26th Hong Kong Film Awards and won Best Actress for Gong Li, Best Art Direction, Best Costume and Make Up Design and Best Original Film Song for “菊花台” (Chrysanthemum Terrace) by Jay Chou. The plot is based on Cao Yu’s 1934 play Thunderstorm (雷雨 pinyin: Léiyǔ), but is set in the Imperial court in ancient China. On the eve of the Double Ninth Festival, the Emperor (Chow Yun-fat) and the second of his three sons, Prince Jai (Jay Chou), return from their military campaign to Nanjing so they can celebrate the holiday with their family. However, the Empress has been in an affair with the first son, Crown Prince Wan (Liu Ye), who was born of the Emperor’s previous wife. At the same time, Crown Prince Wan has been in an affair with Jiang Chan (Li Man), daughter of the Imperial Doctor, and is keen on rejecting the throne so that he may run away with her. Prince Jai notices the declining health of his mother, and is confused by her sudden interest in golden flowers. The Empress explains that the tea she drinks has been poisoned for some time by the Emperor, but that she is planning a rebellion to overthrow him. Prince Jai agrees to be the leader of the rebellion. 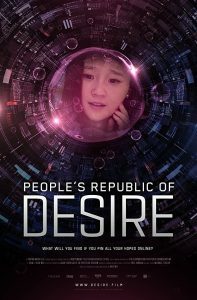 The Empress hires a mysterious woman to discover the type of poison which she is suffering from, but the woman is captured by Crown Prince Wan and taken to the Emperor. As it happens, the woman is Jiang Shi (Chen Jin), the Imperial Doctor’s wife, whom the Emperor imprisoned a while ago and was believed dead, but who somehow escaped. The Emperor decides to pardon her and to promote the Imperial Doctor to governor of Suzhou. 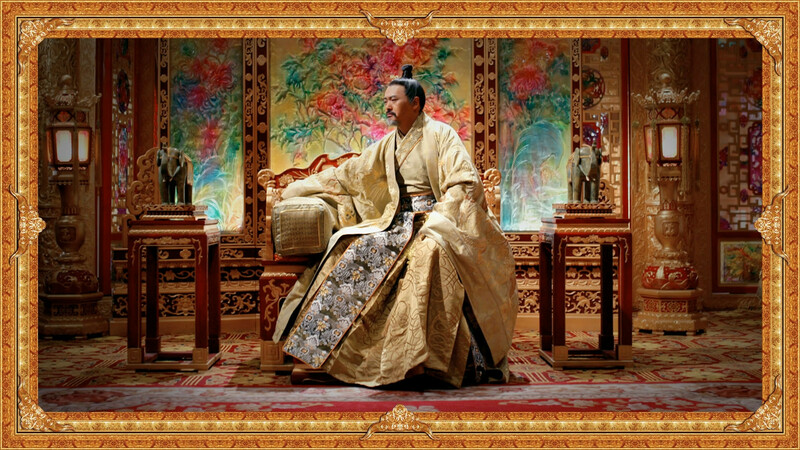 When Crown Prince Wan meets with Jiang Chan to say goodbye, she informs him that the Empress has woven 10,000 scarves with golden flower sigils. 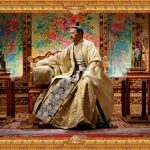 Crown Prince Wan confronts the Empress, and when she admits to planning a rebellion, he is anguished, and tries to kill himself with a knife, but survives. On the way to Suzhou, the Imperial Doctor’s household is betrayed and attacked by the Emperor’s black assassins, resulting in his death. 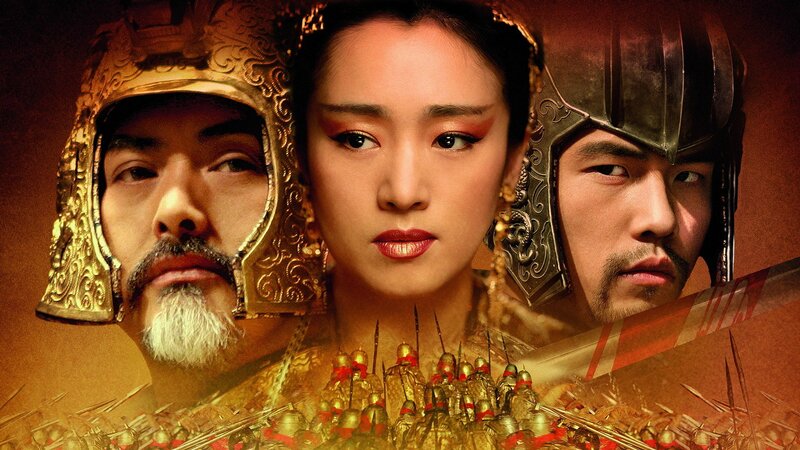 Jiang Shi and Jiang Chan run back to Nanjing and confront the Emperor, who refuses to answer, whereupon the Empress explains to Jiang Chan that Jiang Shi was the Emperor’s first wife, meaning that Jiang Chan and Crown Prince Wan are half-siblings. Jiang Chan is horrified by this news and runs from the palace. 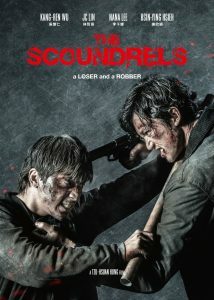 Jiang Shi chases after her, whereupon both are murdered by more assassins. 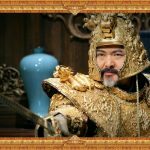 At this point, the third son, Prince Yu, who has been aware of the corruption of both the Emperor and the Empress, expresses his disgust and summons a group of his own soldiers to murder the Emperor and to seize the throne. 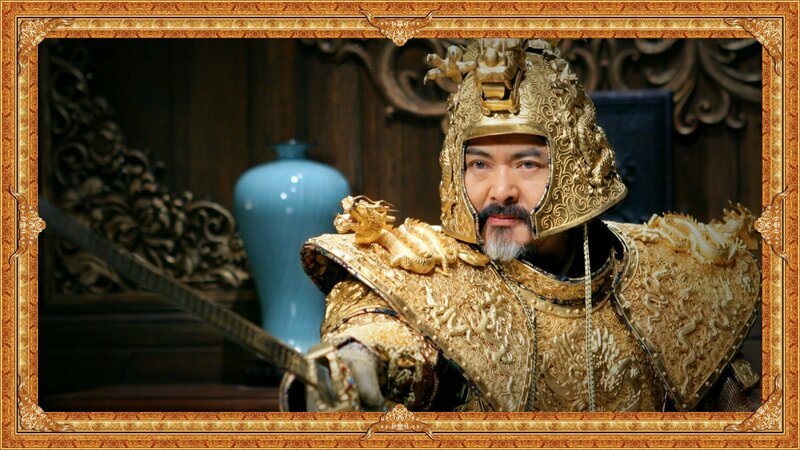 However, even more assassins descend from the ceiling, and they easily defeat Prince Yu’s soldiers. The Emperor proceeds to whip Prince Yu to death using his belt. Meanwhile, the outer square of the palace is assaulted by 10,000 soldiers wearing golden armor and golden flower sigils, with Prince Jai in the lead. They overpower the assassins and proceed to the inner square of the palace, trampling upon the bed of golden flowers arranged for the ceremony. However, thousands of silver armoed soldiers appear, being the reserve army of the Emperor, bearing shields, pikes, and bow-and-arrows, and they slaughter the golden soldiers down to the last man. Prince Jai rises from the sea of bodies and is taken captive. Behind him, the courtyard is cleaned with mechanical efficiency by a legion of servants, with bodies being removed, floors being scrubbed and laid with carpets, and pots of yellow flowers being replaced, making it seem as if the entire rebellion never happened. At midnight, the Double Ninth Festival begins as scheduled. At the table, the Emperor expresses disappointment with Prince Jai, saying that he was already planning to give Prince Jai the throne. He offers to pardon Prince Jai if the latter cooperates with the Empress’s poisoning. Prince Jai refuses and kills himself. Another cup of poisoned tea is brought to the Empress, but she slaps it away, and the liquid is shown to corrode the table’s wood, along with the golden flower image engraved into the wood. “ When autumn comes on Double Ninth Festival, / my flower [the chrysanthemum] will bloom and all others perish. / When the sky-reaching fragrance [of the chrysanthemum] permeates Chang’an, / the whole city will be clothed in golden armour. ”“ （Original Chinese text: 待到秋來九月八，我花開後百花殺。沖天香陣透長安，滿城盡帶黃金甲。） ”Due to the film’s high-profile while it was still in production, its title, which can be literally translated as “The Whole City is Clothed in Golden Armor”, became a colorful metaphor for the spring 2006 sandstorms in Beijing and the term “golden armor” (黄金甲, huángjīnjiǎ) has since become a metaphor for sandstorms among the locals.